Tinder++ is a tweaked version of the original Tinder dating app, that unlocks Tinder Premium and Tinder Select to free users, and includes unlimited Super Like. The tweaked app is unavailable on the App Store, and usually you’d need to jailbreak your iOS device to get it installed from external third-party app repositories like Cydia. But here, we’ll explore a way to install Tinder++ on your non-jailbroken iOS device, and that too without using a computer. 1.2 Is Tinder++ safe to install? Build Store is a third party app store that allows its users to download apps that are not available on the App Store. Tinder++ is one such tweak among many others, belonging to Build Store’s repository, so you can directly install the app on your non-jailbroken iPhone or iPad, without requiring a computer (Mac/PC). In order to install apps from Build Store, you need to subscribe to their service for a fee of $9.99 / year per device. Note: Tinder++ is a tweaked app and has the same Bundle ID as that of the official one. As such, you can’t keep both the original and tweaked versions of the app installed simultaneously on the same device. You must uninstall the original or previous version of Tinder++ app in order to install the updated version. Uninstall the official version of Tinder, or any previous version of Tinder++, if you already have it installed. On your registered iOS device, open Safari and navigate to the Tinder++ app page. 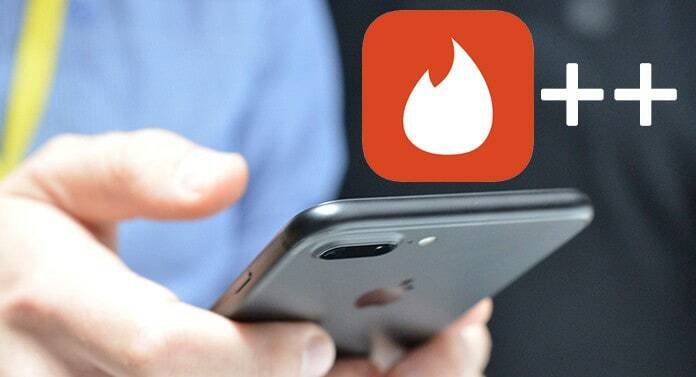 Tinder++ will be installed on your registered iOS device. Since this is an unofficial tweaked version, there is a limitation while logging into the app. At the moment, only Log In With Code option is supported. Note: Installing an updated version of Tinder from the App Store may overwrite the tweaked version; hence, you may lose all the tweaked features provided in Tinder++. Disclaimer: The article is only intended as a knowledge base for installing Tinder++ on non jailbroken iOS devices. 7labs may not be held responsible for any violation of the terms and conditions, as laid out by the original app developers.